I spy with my little eye... a great quilt tutorial! 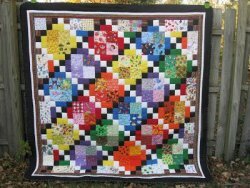 This quilt was featured in the Blogger's Quilt Festival and is now available to you through this tutorial! 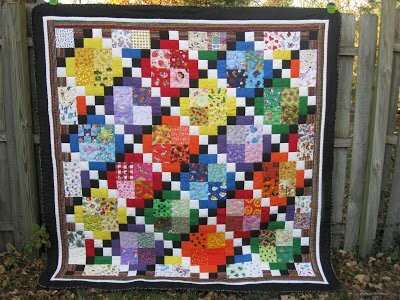 Collect fabrics in all colors of the rainbow and bring them together beautifully with this quilt tutorial. Start collecting your colors! "So basically, this entire quilt is made up of 49 blocks that each have 2 Picture Blocks and 2 Four-Patch blocks. So, all you have to know to make this quilt is how to make that block, and then repeat 49 times :) "